The financial regulator has wrapped up its review of a regulatory probe into whether Samsung BioLogics Co. violated accounting rules, officials said Friday. Details of the review were not disclosed due to a confidentiality agreement, but the review apparently failed to reach a consensus as the Financial Services Commission said there were some "majority and minority opinions" about the case. The review came after financial authorities gave a preliminary notice earlier last month to Samsung BioLogics that it broke accounting rules in 2015, a charge strongly denied by the unit of Samsung Electronics Co. The outcome of the review will be delivered to the Securities and Futures Commission, a sub-commission within the FSC, which will hold a meeting on Thursday to try to reach a final ruling. However, a final ruling is unlikely next week and the commission may hold more meetings, FSC officials said. The regulatory probe centered on questions about Samsung BioLogics' sudden profits in 2015. After years of losses, Samsung BioLogics posted a net profit of 1.9 trillion won ($1.76 billion) in 2015 after it changed the method used to calculate the value of its affiliate, Samsung Bioepis. 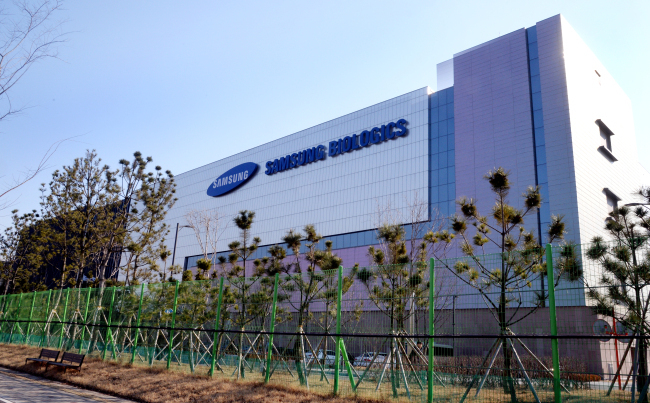 Samsung BioLogics has claimed that the change was in line with international accounting standards. Before Samsung BioLogics went public in 2016, Samsung Electronics and Cheil Industries Inc. each owned 40 percent stakes in the biosimilar maker. People's Solidarity for Participatory Democracy, an influential South Korean civic group, has argued that Samsung BioLogics may have inflated its profit to raise the value of the company for the benefit of Samsung Group's heir apparent Lee Jae-yong, who held a major stake in Cheil Industries at that time. The civic group has said the suspected accounting breaches at Samsung BioLogics may have helped the controversial takeover of Samsung C&T Corp. by Cheil Industries Inc. in 2015.